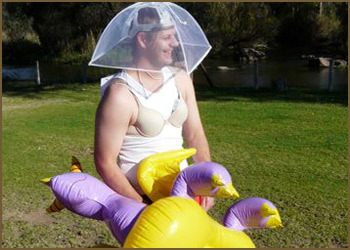 Do something different for your mate’s bachelor party. Don’t be the normal best man? Not just the same old drinking day/night. Come on one or more of our adventurous activities. Then party afterwards if you would like. Experience something together that you will remember! Talking about the days experience around the campfire. We have available; some wonderful venues to make use of. From chalets next to the Vaal river, camping sites, tented camps on game farms, houses in the mountains to name a few. Most of the venues are self-catering. You can be catered for and a cash bar can be arranged. 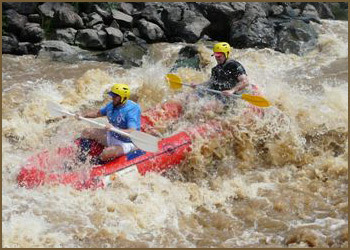 The bachelor camps are situated in Parys and surrounding areas only an hour drive from Johannesburg. Also available are venues in the Vereeniging, Vanderbijlpark (Vaal triangle) area. With one venue 45 min from Sandton! All year round. From here you can embark on a river rafting trip, paintball, snorkelling, quad biking or abseiling activity, with many more adventure combos to choose from. One day events also available. We are open to suggestions to give the groom to be a day to remember with great bachelor party ideas. Contact us for more details and quotation. 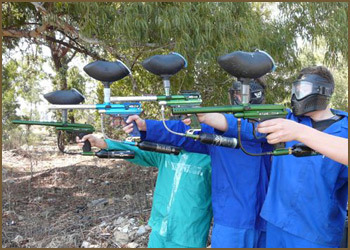 Paint ball , Quad Biking, Abseiling, White Water River Rafting, Archery, Bungee Jumping, Raft Fishing safaris, Team Building games, Tubing, Kayaking, Snorkelling and/or Fire walking.